Our friends across the pond get a new stop-motion animated film from Aardman Animation before we do with a big screen adaptation of the small screen character Shaun the Sheep heading out on a big city adventure. And while audiences familiar with the character may think the know what to expect, there's also two new characters entering the fray: Trumper the animal warden who rules the city’s animal shelter with a rod of iron and Slip, an inner city orphan dog who helps Shaun save the day. I'm not sure if this will get a US release or not since the show hasn't ever been popular here, but we'll find out sometimenext year. Watch! 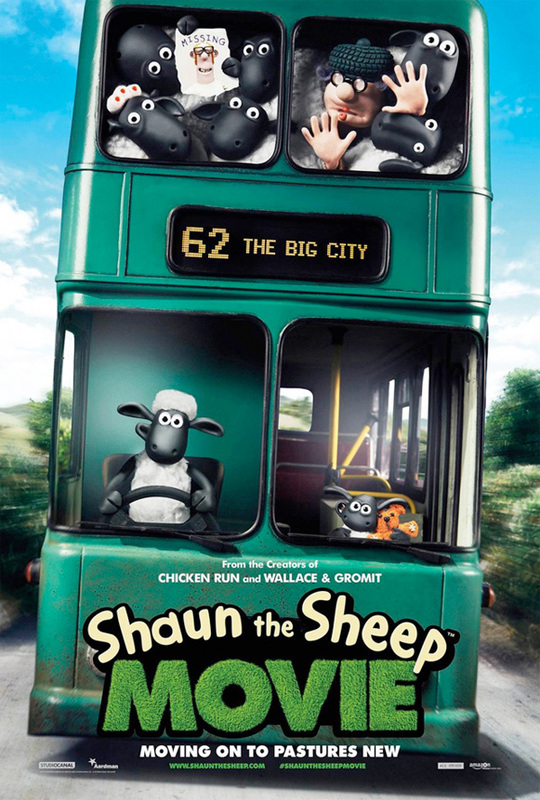 Here's the first two teaser trailers or Shaun the Sheep right here and right here. I hope there are some good Welsh joke in there.